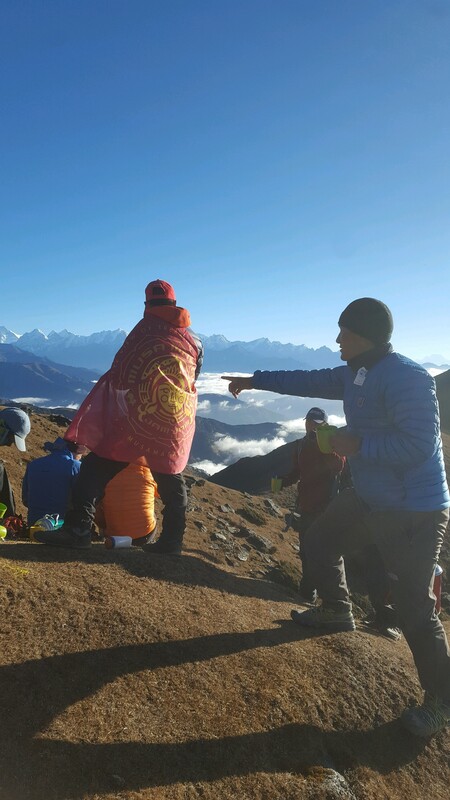 Ang Dawa Sherpa returns with another great post, this time on the lesser traveled Pikey Peak Trek. For those looking for a different view of Nepal, We highly recommend this outstanding visit to the Solukhumbu. Thanks, Ang Dawa, for guiding us to an another amazing part of Nepal. Dhanyabad. Tourism in Nepal is famous for climbing, but trekking especially draws large crowds every year. The Everest, Annapurna and Langtang regions are the most popular, but there are many other treks that are opening up that are less crowded and just as spectacular. Nepal is full of mountains. 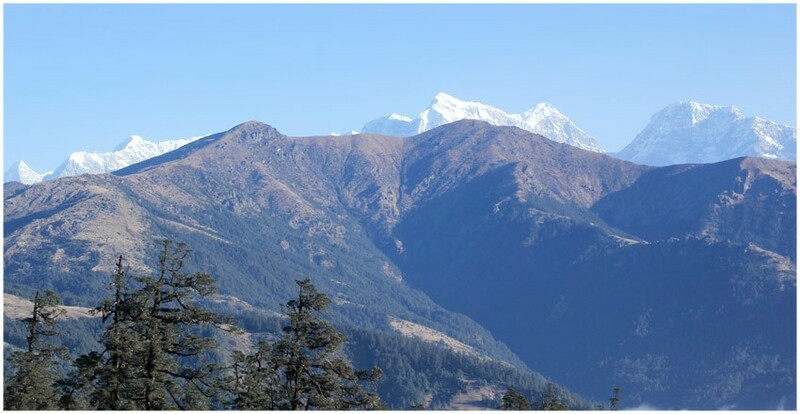 Pikey Peak, located in the Solukhumbu district, perhaps has one of the best views of the Himalayan range. At 4090m, it certainly is not one of the tallest peaks but the view is unforgettable. Pikey Peak is often compared to Pun Hill in the Annapurna region for the popularity of its view from the summit. The trek there is becoming more popular for people looking for a quieter, less crowded trek with astonishing mountain views. With the panoramic view from the summit, an early sunrise is recommended. Then you have clear views of Mount Everest, Makalu, Kanchenjunga, Guare Shakker, Lhotse, Khatang, Annapurna, Nuptese, Ama Dablam, Shishapangma, Thamserku, and Mera Peak. The morning colors are breathtaking. It is an unforgettable sight. The Pikey Peak trek also offers visits to monasteries, traditional Sherpa homes and tea houses and a cheese factory for nak cheese. You can also sample the different foods of this region. Meanwhile, enjoy beautiful green fields, lush forests, fast running creeks and streams and the national flower, the rhododendron. Until recently, the Pikey Peak trek was exclusively a camping trek, but now you can choose from an assortment of lodges and tea houses as well. Weather you choose to camp or stay in lodging, many of the treks last around 10 days. 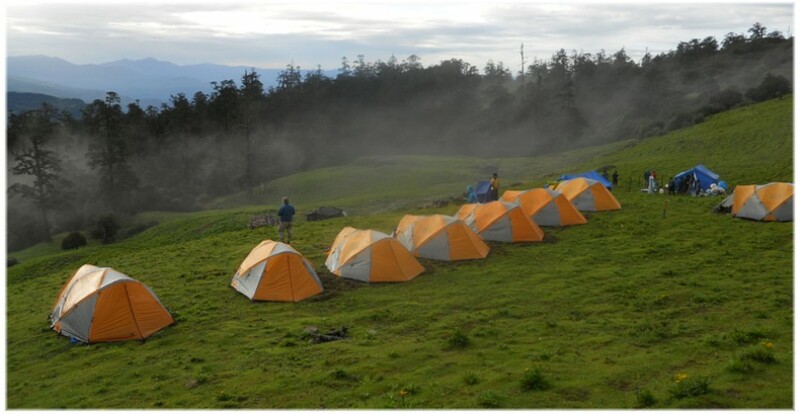 Camping is a great option on this trek. A popular starting point is in Jiri, which is the traditional starting point for Everest expeditions before the airport at Lukla was opened. You can often fly into or out of Phaplu, for an exciting flight beside the great Himalayan Range. Whichever route you choose, the Pikey Peak trek will give you a new perspectives on Nepal, its beauty and the friendliness of the people of the Solukhumbu. Pikey trek is one of the newly opened and very nice trekking route in Everest Solu Region. Pikey peak is the best trek in Nepal for Everest sunrise views. This is probably the shortest trek for sherpa culture, mountain sunrise and pristine himalayas.